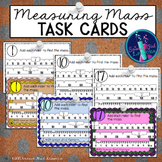 Also included in: Custom Bundle for Debbie M.
Use this worksheet as a guided practice, an informal assessment, or a quick quiz. 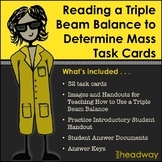 Students will read the identify the mass on the pictures of triple beam balances. 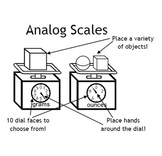 This is a massive set of clipart for the Triple Beam Balance. 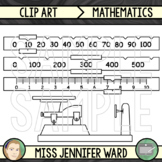 This is a build your own set and includes blank and numbered versions included with the marker already set. 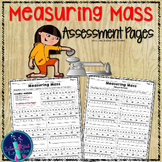 Just choose the exact measurements you want and off you go! 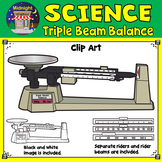 Also included are 3 colour and 1 blackline of a Triple Beam Balance. 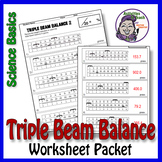 Need a quick recording sheet for your triple beam balances? So did I. 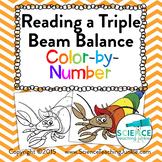 So I made this to use in my triple beam balance station. 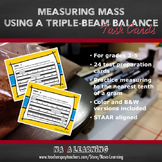 Just add your own objects for students to measure the mass, and BAM! 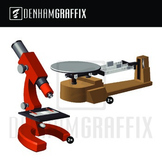 Instant science station! Happy Teaching!